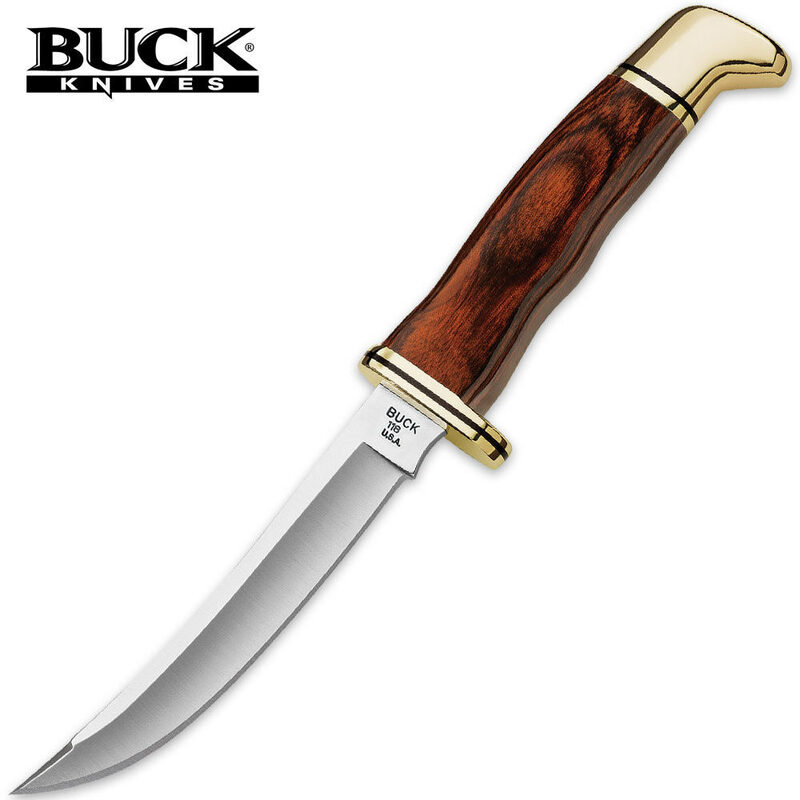 Buck Personal Cocobola Dymondwood Fixed Blade Knife | BUDK.com - Knives & Swords At The Lowest Prices! With classic American knife styling, this handsome Cocobola Dymondwood Fixed Blade Knife from Buck is proudly made in the USA. The razor sharp skinner blade is crafted from high carbon steel and offset by a handsome cocobola Dymondwood handle with a polished brass guard and pommel. Includes a genuine leather sheath. Knife was returned, as not as pictured in catalog. Very much like smaller woodsman, which I already have. I have re-ordered the skinner, which should be coming soon.